(From left) IU Southeast student Rachel Hamilton stands with members of her family, Richard Hamilton (brother), Marcy Clark-Hamilton (mother), Marvin Clark (uncle) and Sandra Clark (grandmother) as they’re recognized for their multi-generational commitment to IU Southeast. NEW ALBANY, Ind. — Sandra Clark ’94 received her general studies degree in the same commencement ceremony her son, Marvin, earned his business degree. Four years earlier, Sandra Clark’s daughter, Marcy Clark-Hamilton, had walked across that same stage to receive her education degree. The family’s ties to IU Southeast only continue to strengthen with a third generation of students. Sandra Clark’s granddaughter, Rachel Hamilton, is an IU Southeast student, and her grandson, Richard Hamilton, is enrolled in classes on campus. (From left) Director of Alumni Engagement and Annual Giving J.T. 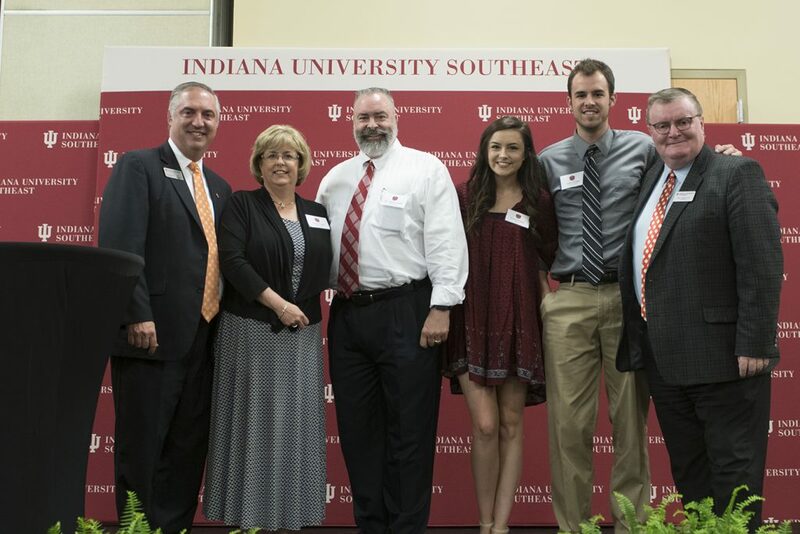 Douglas, Tracy Crase, Dr. John Crase, Emily Crase, Josh Crase and IU Southeast Chancellor Ray Wallace. 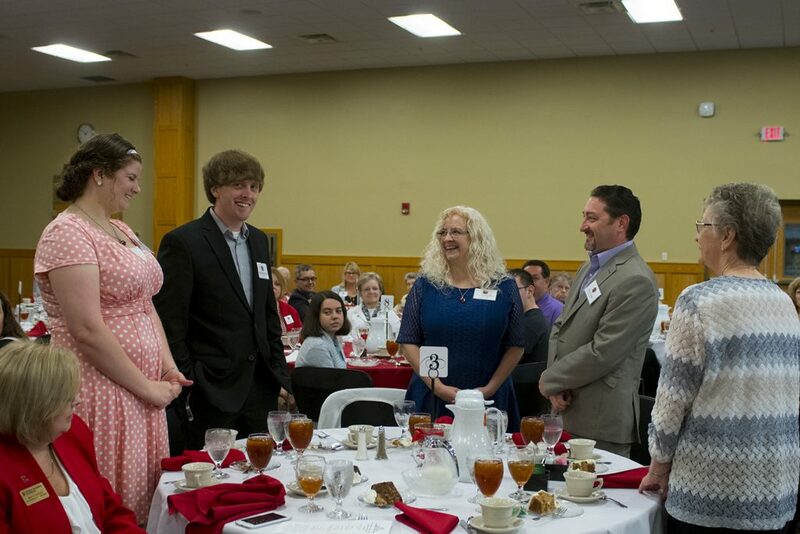 The Clarks and 41 other families gathered on April 3o to celebrate their generational commitment to the university as the first-ever inductees into the IU Southeast Alumni Legacy Society. The society aims at celebrating those who have made an IU Southeast education part of their family tradition. “Alumni and students are the most important part of the IU Southeast community, and this program is designed to honor those families for being part of this university’s proud tradition,” said J.T. Douglas, director of alumni engagement and annual giving. Like the Clarks, several families in attendance can trace their roots with IU Southeast back three generations. Others, like Dr. John Crase and Tracy Crase, attended IU Southeast and are now watching their children, Josh and Emily, follow in their footsteps. “Your loyalty tells us that the education you received and the experiences you had at IU Southeast is valuable and worthy of your loved ones,” Chancellor Ray Wallace said during the society’s pinning ceremony. The IU Southeast Alumni Legacy Society honors graduates or currently enrolled students who have a parent, grandparent, step-parent or step-grandparent that is an alumnus of IU Southeast. To learn more about the Alumni Legacy Society or to enroll in the program, visit the Alumni Legacy Society website.